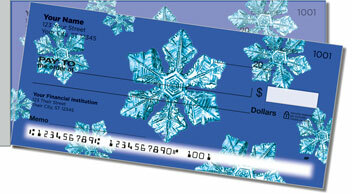 The intricate splendor of crystalline snowflakes is captured on this unique set of personal checks. Winter's beauty is easy to see from a distance. We look out our windows from the warmth of our home and watch the snow gently falling, creating a world of white. However, when you get up close and personal with an individual flake, you can see exactly how exquisite these pieces of nature can be! 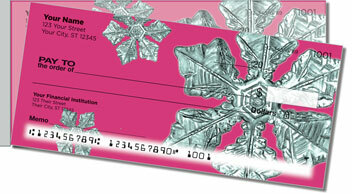 Wintry Flakes Side Tear Checks are one of the many seasonal designs available online at CheckAdvantage. 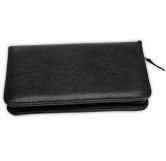 But you can use them all-year round to keep the wonder of winter in your purse or pocketbook. 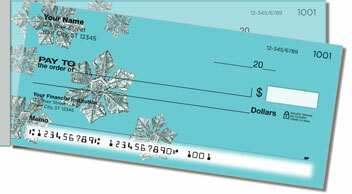 Plus, the convenient side-tear option makes it easy to remove checks from the pad without ripping! 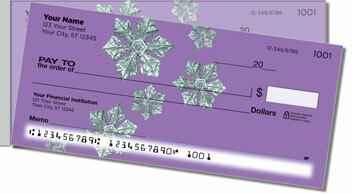 Get your own Wintry Flakes Side Tear Checks today! Complete your order with matching address labels.